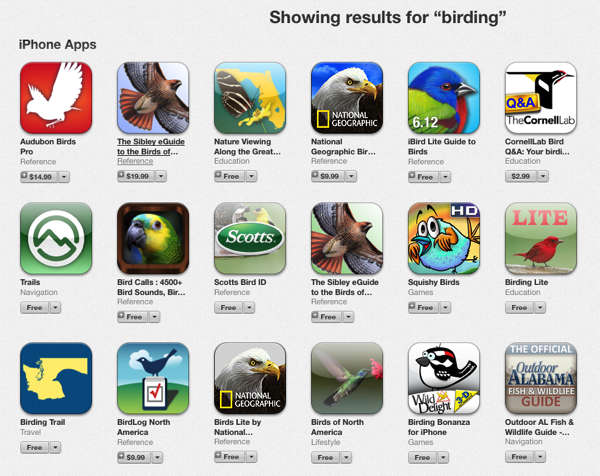 The borderline between the use or abuse of birding apps is very thin, and in the end it depends on the individual. With plenty of birding apps in the App Store, it is easy to identify birds in the field via images and listening to their song. 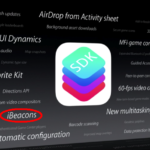 But what happens when these apps and in-app song recordings are used as tools to lure the bird into view? That’s exactly what they are not supposed to be doing, and the use of iDevices and smartphones has caused a fierce dispute within the birding community, reports the Wall Street Journal. An otherwise peaceful pastime has been roiled by conflict as digital field guides, and the song recordings they include, have made birding easily accessible for anyone with a smartphone and, sometimes, a portable speaker. In a hobby where reward has come from years of quietly, patiently waiting outdoors and diligently studying technical tomes, there is deep resentment of birders who are relying on these easy-to-use—or abuse—apps. Fact is, the use of audio isn’t new in the birding world, but not so long ago it was restricted to research scientists who used playback methods involving cassette tapes. The main issue here is that the apps – such as the Audubon Society’s featuring identification details of more than 800 species and eight hours of birdsongs – should be used with care, and that demands a new policy. 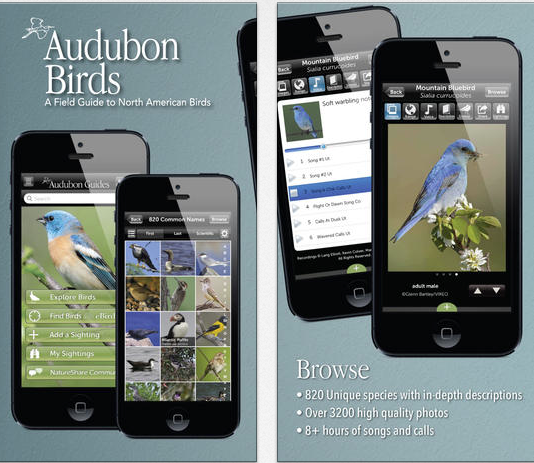 The WSJ gives multiple examples of how smartphone users should not use the birding apps. The main issue was highlighted by Jeffrey Gordon, president of the America Birding Association: it’s when playback is used thoughtlessly. For instance, the National Park Service prohibits the use of bird call apps on its property, because they say it’s an “intentional disturbance” of bird behaviour and biology.